Which is a crying shame as while arguments continue over who gets to own and develop the site no one gets to see any of the Theatre’s original foundations so meticulously excavated all those years ago. Along comes the Curtain Theatre, just down the road from the Theatre. 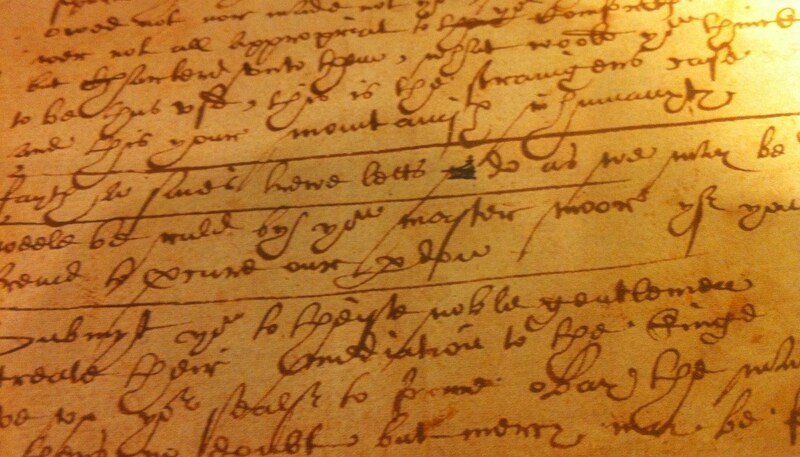 Currently under excavation as I write this by MOLA, I was privileged to be able to visit the site yesterday – but strictly not allowed to take photos – as part of a Shakespeare 400 walk called ‘Rogues and Villains of Elizabethan Theatre’. So far most of what they have discovered in this huge site is 18th century, but there are sections of it that just could be the remains of the Curtain Theatre itself. It is all very exciting, and whatever they do uncover will be preserved as part of the building’s development, which will I believe also include a playhouse. 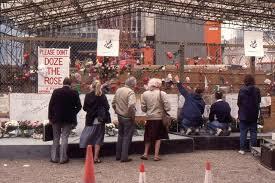 There will be more news about this site when excavations end in June. I read about this book on the website of the Museum of London Archeology. 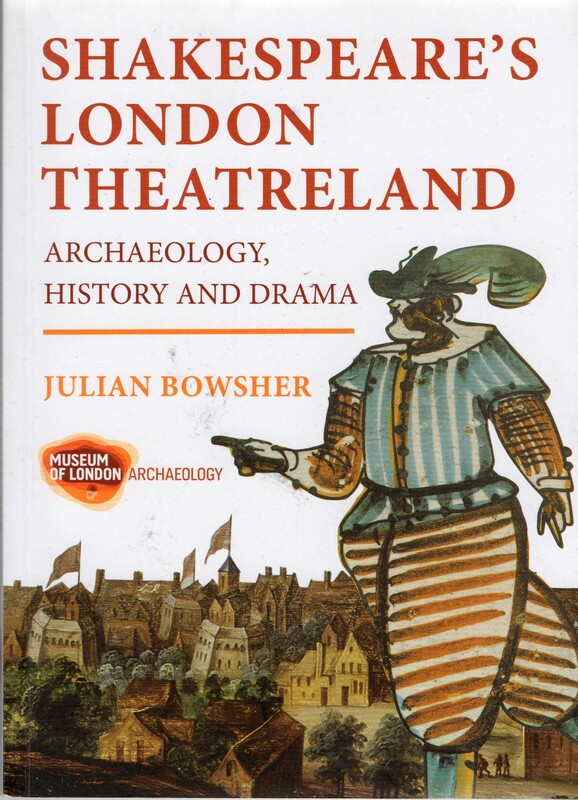 It’s written by an archeologist, Julian Bowsher by name, and tells the story of the discovery of remains of playhouses discovered in London recently and dating back to the ‘golden age’ of theatre in Shakespeare’s time. It is an accessible book, nicely jargon-free and very readable and, to someone like me, fascinating. I had no idea for instance that there were so many playhouses built in the latter part of the 16th century other than the ones we know about: The Theatre, which I had erroneously thought was the first purpose-built playhouse to be built in England since Roman times (I blogged about it here), The Curtain, The Rose, the Globe, The Swan, The Hope and The Fortune. Most of the others were short-lived, or there’s not much known about them. I also didn’t realise how many playhouse-builders lost so much money, or got entangled in complex and lengthy disputes, though it doesn’t take a genius to realise that running a theatre commercially has never been and never will be a job for ordinary mortals. It may be my perception but it seems as though contemporary interest in old playhouses really began with the discovery of the remains of The Rose Theatre on Bankside in 1989. I can remember the outcry when, having discovered a surprisingly large section of the theatre’s foundations between the demolition of one building and the development of another, the powers that be were about to allow the new building to be built right on top of them, obscuring them and presumably demolishing them all at once. 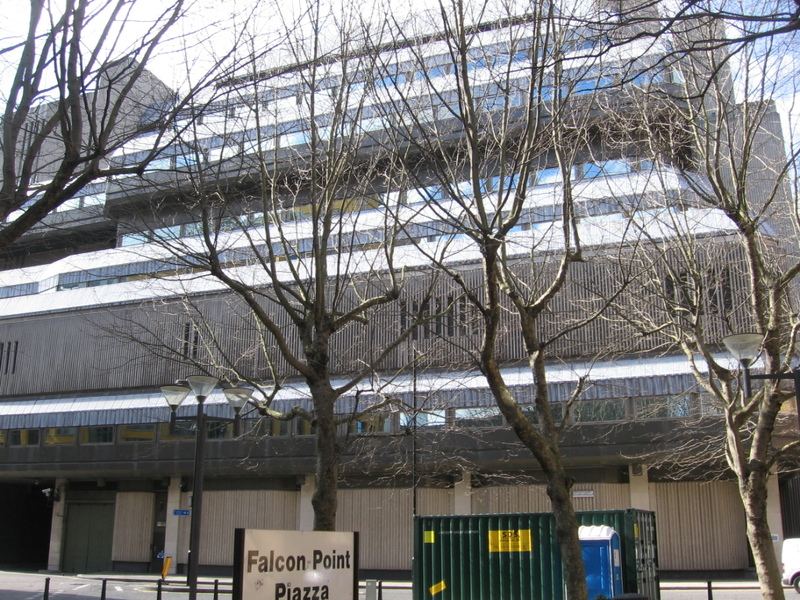 I remember how the guiding lights of theatre at the time, headed by Dame Peggy Ashcroft and the local MP for Bankside, Simon Hughes, came and camped on the site in protest at the redevelopment, and won. (The foundations are preserved and the new building went ahead without disturbing them.) Ever since then the MOLA – The Museum of London Archeologists – have been hard at work uncovering foundations of all the theatre mentioned above, with the exception I believe of The Swan, which is on the site of Sampson House, not far from the Globe and the Rose, which has been too thoroughly gutted over the years. 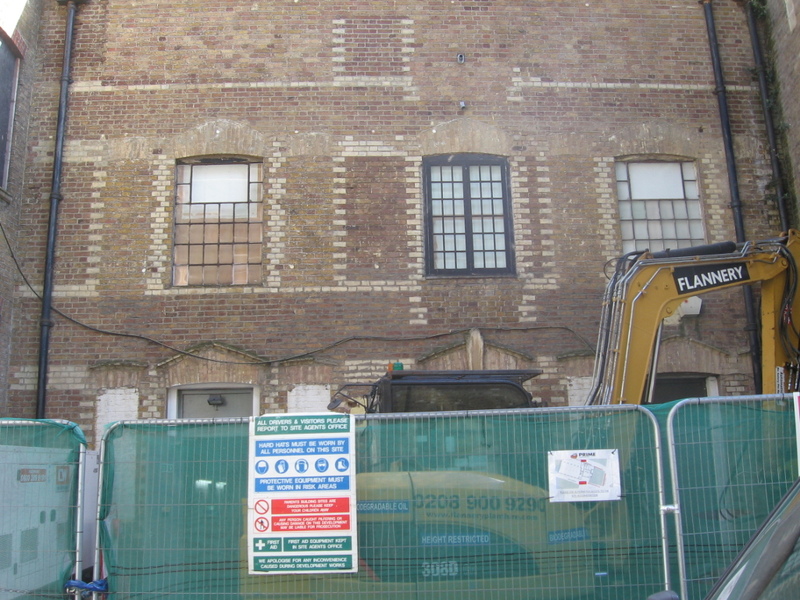 The Hope Theatre, in The Bear Garden, round the corner from the new Globe, has been hidden behind hoardings for years now, and I was quite distressed the other day when I walked past to see it is now a demolition site. Bowsher’s book tells us however that the site – which had a dual purpose as a playhouse and a bearbaiting ring – was excavated ‘between 1999 and 2000 but very little was found, as most of the building lay outside the site limits’. What they did find were the remains of piles of animal bones, legacy of the bear-baiting. The book includes a number of walks around Shakespeare’s London, to sites of old playhouses, inns and bear-baiting rings, from the City and West end to Greenwich and Hampton Court. It is published by Museum of London Archeology and costs £20. Much recommended. What with the BBC2 four-part series The Hollow Crown, Mark Rylance as Richard III at the Globe and Simon Russell Beale as Timon of Athens at the National, Shakespeare: staging the world at the British Museum and reports of the opening ceremony of the Olympics being based on The Tempest, Shakespeare has us thoroughly surrounded. 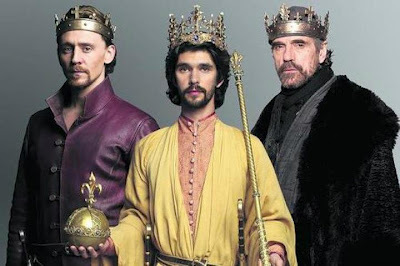 The Hollow Crown, which finished last night with Henry V, was a magnificent feast of austerely visual splendour and featured the best actors in the country – including SRB as Falstaff. Mark Rylance was a comparatively matter-of-fact, even low-key Richard at the Globe, especially by comparison (odious but inevitable) with the flashier Kevin Spacey and the riveting Antony Sher. Meanwhile the critics made much of the timeliness of the National’s Timon with its modern setting featuring the Occupy movement and the National Gallery, where Timon the benefactor had a room named after him. Personally while I would travel the world to see SRB I could see why Timon is so rarely performed. It has none of the subtlety and complexity of Shakespeare’s usual characterisation – Timon goes from beaming benefactor to raging misanthrope in the flick of an eyelid. He is not even the most interesting character in the play – that honour belongs surely to the ‘sceptics’ cynic’ Apemantus, ‘a philosopher’. Or even, as played by Deborah Findlay, Timon’s steward/PA Flavia. At least the gender swap of some of the characters in Timon, of which Flavia was one (Flavius in the original), which made perfect sense, made up in a small way for the all-male Richard. Otherwise I have to admit for thrill value the exhibition in no way matches up to its YouTube promotional trailer, which has the Roman army marching across the Millennium Bridge and Othello carrying the dead body of Desdemona through the 21st century streets of the West End of London. In my lectures I draw attention to the fact that when modern theatre appears to reinvent itself it is very often actually harping back to the ideas and the environments of centuries ago. ‘Site specific’ theatre was the only kind of theatre available in the middle ages for instance. Now, in addition to the replica New Globe on Bankside and the Rose Theatre in Kingston, The Royal Shakespeare Theatre in Stratford recently underwent a complete transformation in order to replace the unfashionable vastness of the 1930s pros arch shape with the far more intimate thrust stage design modelled on the 400 year old Elizabethan playhouse. There has been, ever since the discovery of the foundations of the Rose Theatre on Bankside in 1989, a resurgence of interest in theatre history in London. 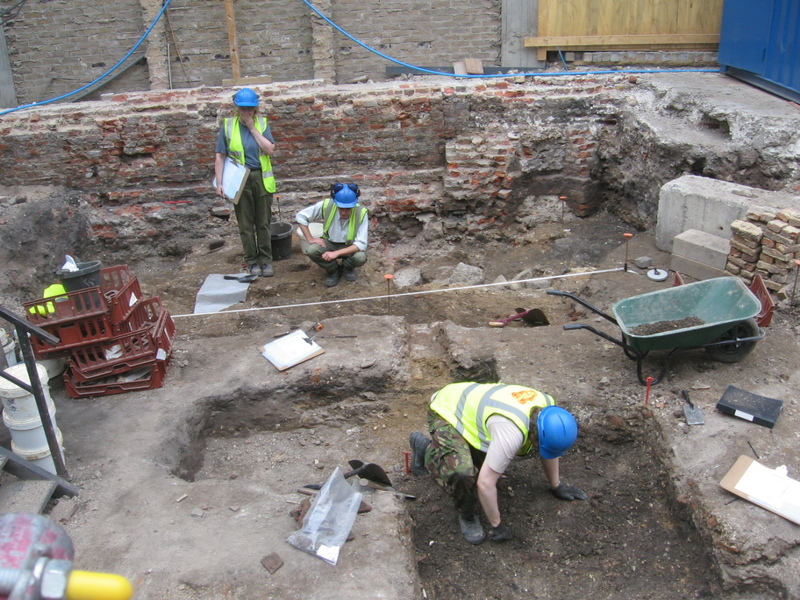 Four years ago Museum of London archeologists uncovered the foundations of England’s first ever playhouse, The Theatre, built by James Burbage in Shoreditch in 1576. Just a hoarding, with pictures the only indication of what lies behind it. Peeking through a tiny hole all I could see was rubble – no sign of any new building or of any ancient foundations. If anyone reading this has any information on what’s going on (or not going on) I’d be very interested to hear about it. 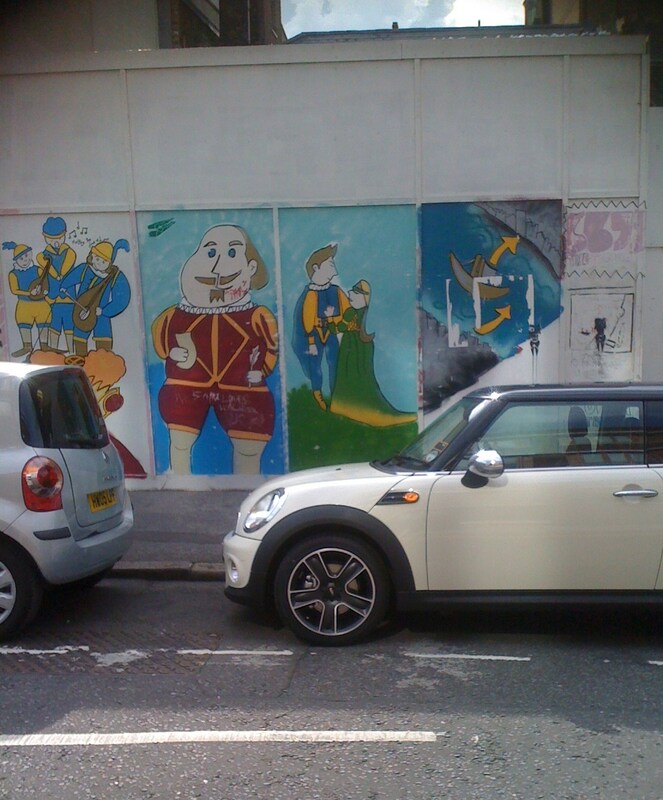 I also went looking for the newly-discovered foundations of The Curtain theatre, built the year after The Theatre and just around the corner from it in Shoreditch. Again, nothing to see. All hidden among buildings and just a plaque on the wall. Still the encouraging thing is that these sites are being excavated and, hopefully, preserved. 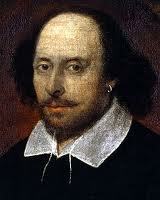 Shakespeare lives on. We may not rejoice in our weather in London, but in many other ways we are the luckiest people in the world.